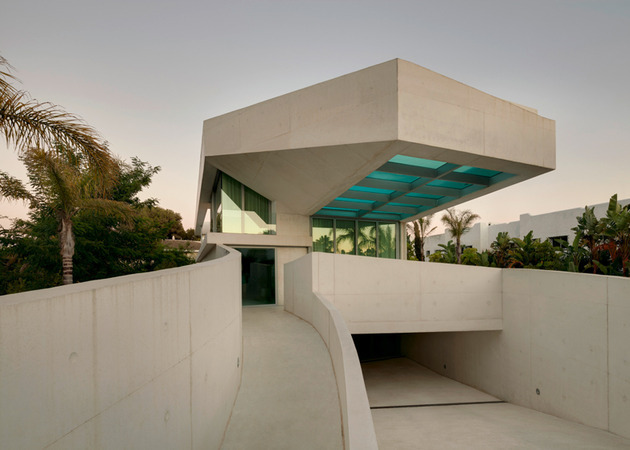 Nicknamed the Jellyfish House, Wiel Arets Architects was challenged to create a home that offered panoramic views while swimming in a location whose views where cut off by the neighbouring houses. The solution was a rooftop swimming pool that would offer views from all four sides and since the residence is located in Marbella, Spain, on the Mediterranean coast, these views are about as beautiful as you can get. 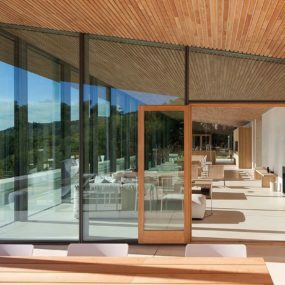 With the decision to locate the pool on the roof, the usual poolside vistas from the interior of the home would not be possible unless large sections of its surround was built with transparent glass. 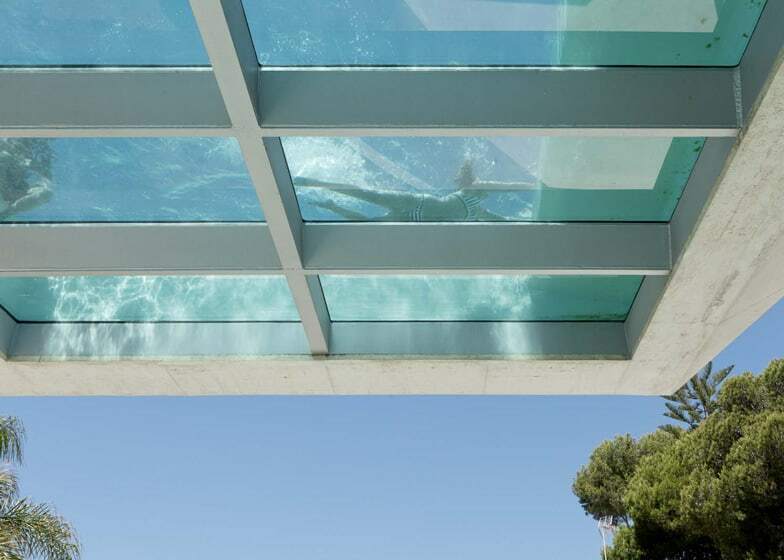 To achieve this desired result, the architect cantilevered the pool over the lower terrace so that no electrical or plumbing structures would interfere with the pool’s glazings. 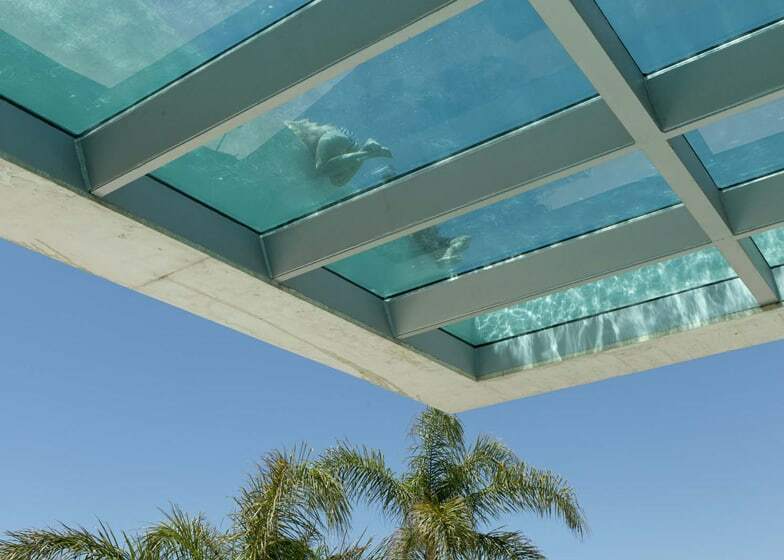 A grid work of concrete joists supports the 6cm thick glass bottom of the pool creating a fluid and graceful ceiling to the terrace below. 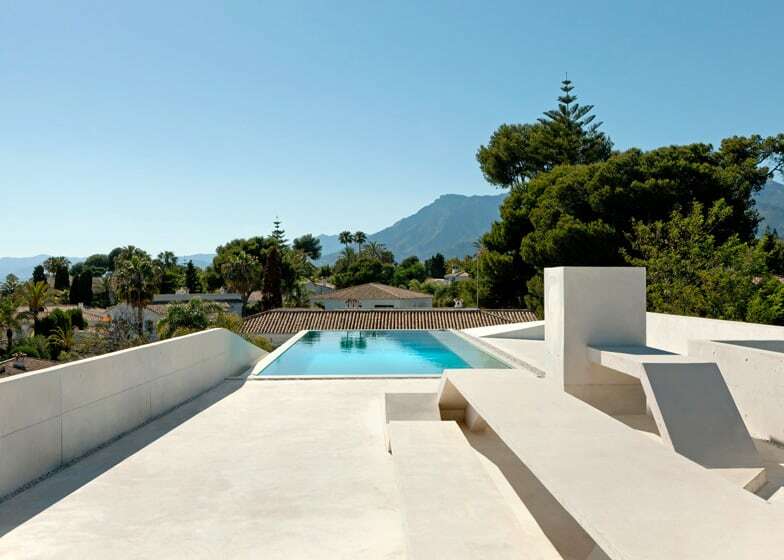 The Mediterranean sun is constantly filtered through the waters of the pool creating a continually moving iridescent reflection of turquoise on the terrace below that is further enhanced by the shadow effects of those swimming through the water. 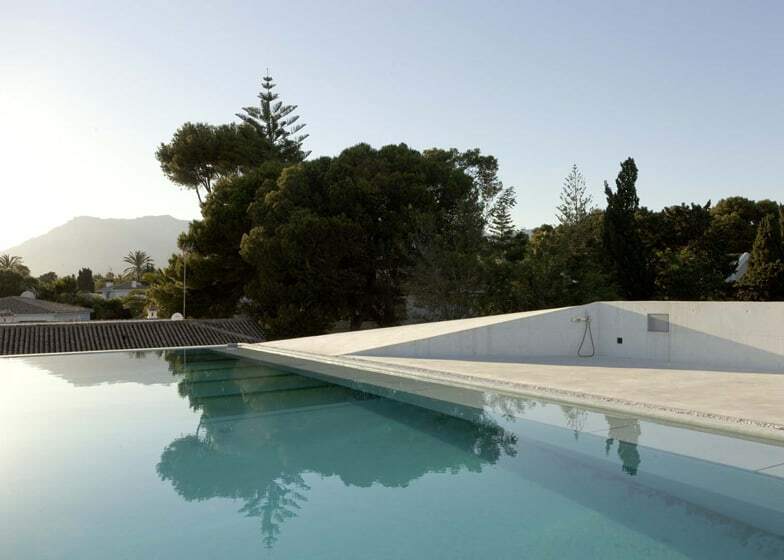 Carefully designed so as not to be obtrusive, the pool cover hides within an underwater bench that runs the length of the right hand side. The pool is equipped with an infinity edge to create a seamless connection with the sea in the distance. 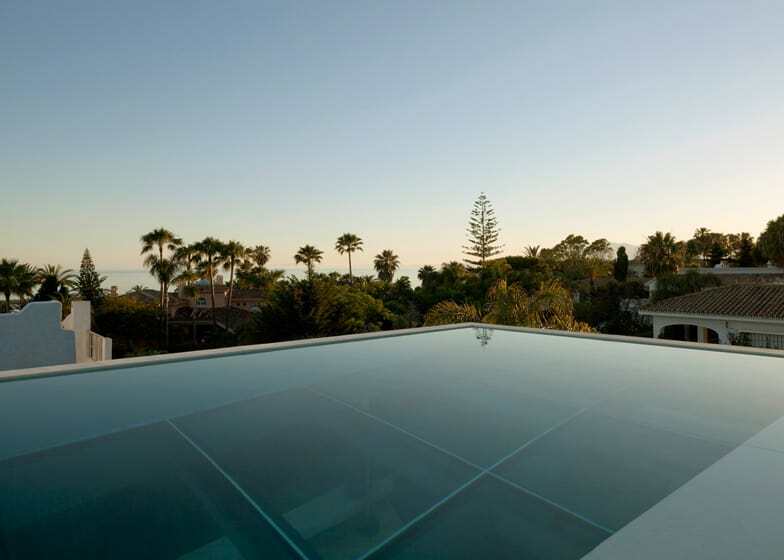 Weighing nearly 60,000kg and comprised of 6cm thick glass, the pool is cantilevered 9m southwest looking towards the Sierra Blanca mountain range. 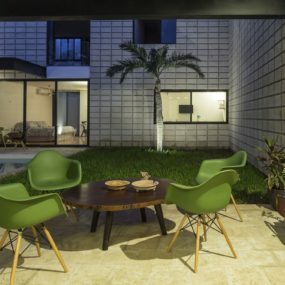 A custom designed concrete table and adjoining concrete bench with angled edges that double as backrests for sunbathing is featured on the rooftop deck. 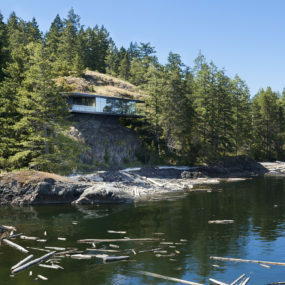 If the swimmers or sunbathers need sustenance, a small service elevator can deliver food and drink from any of the 3 volumes of the residence allowing them to remain up top. 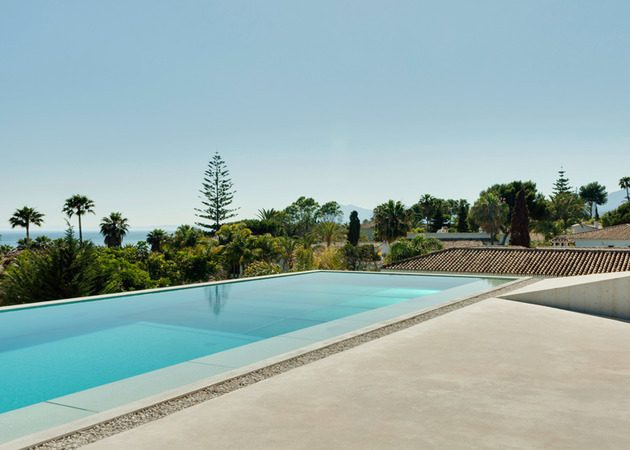 The pool also features a large window at its rear that offers its waterscape views down to the first floor kitchen. 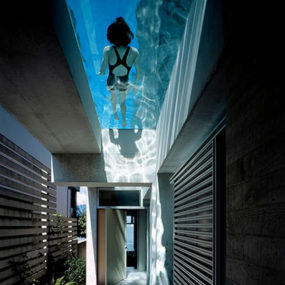 A second window below the pool allows views from the kitchen to the living room as well. The kitchen is located along the southern length of the residence and has all of its secondary appliances built into an adjacent and perpendicular hallway. When its time to leave the rooftop deck, two flights of stairs are available. A fast one and a more casual one. 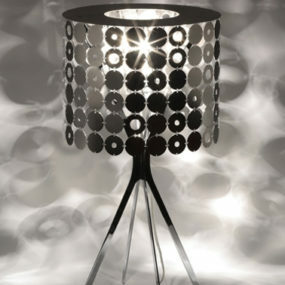 The fast one offers a direct passage from the exterior of the home to the roof. 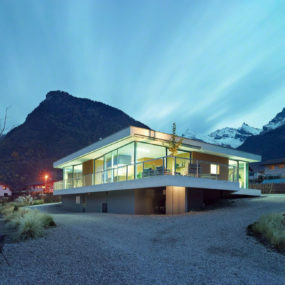 It is enclosed in glass and completely removed from the interior volumes. 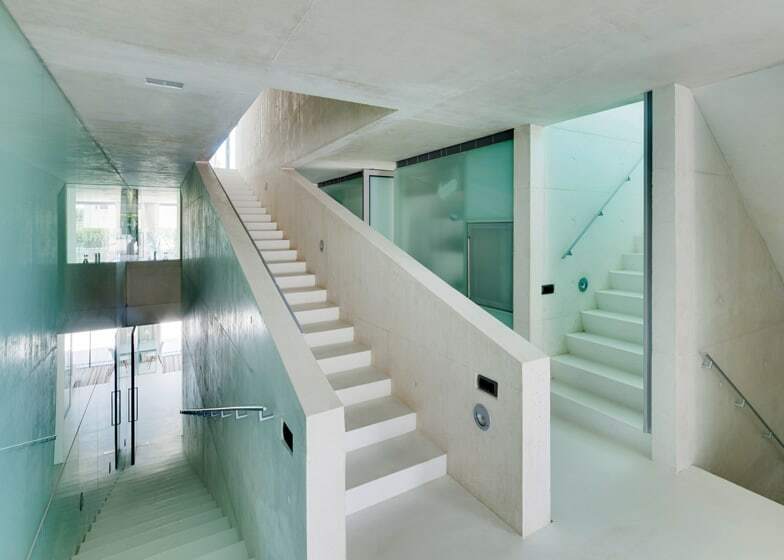 The second “slow” stairwell connects the roof with the 3 inner volumes. 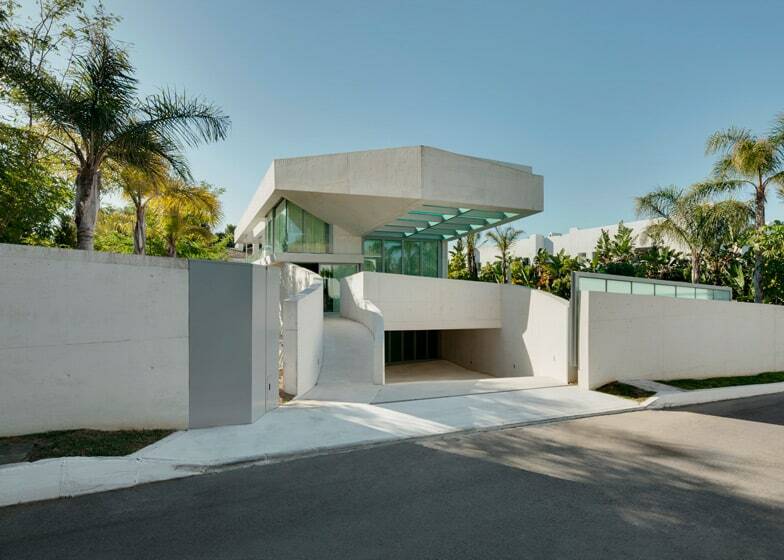 It consists of long wide treads and short risers and it runs the full length of the residence. Just past the living room and right before the terrace is the large dining area. 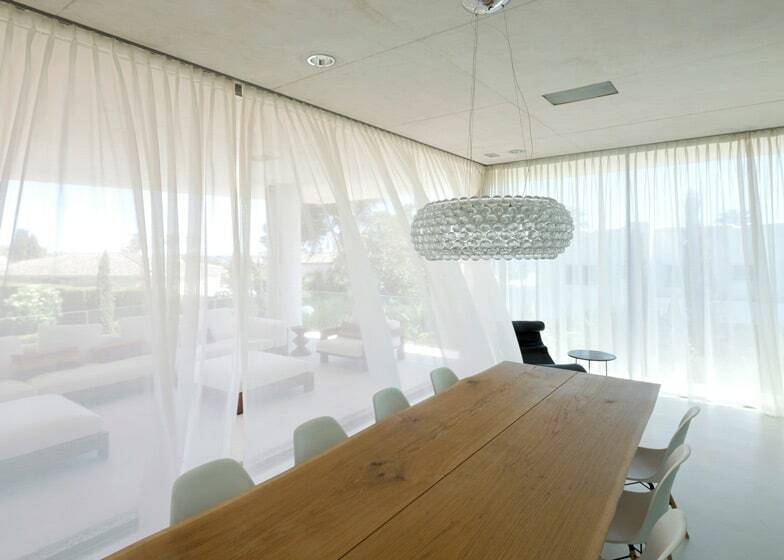 Here a dining table is comprised of two huge live edge planks and the whole area is wrapped in gauzy curtains that move with every breeze. 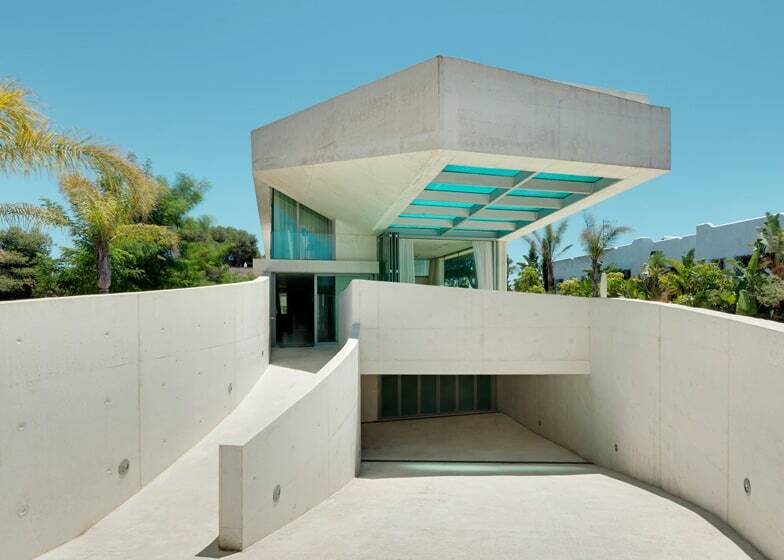 The 650m2 Jellyfish House is built with concrete and glazings. It is a 3 storey residence with the Master Suite located on the ground floor. 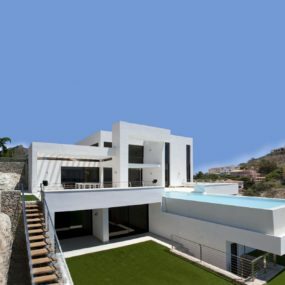 Two other bedrooms are also on the ground floor while on the lower level 2 guest bedrooms face outward towards an extensive terrace whose retaining walls offer a sense of seclusion. 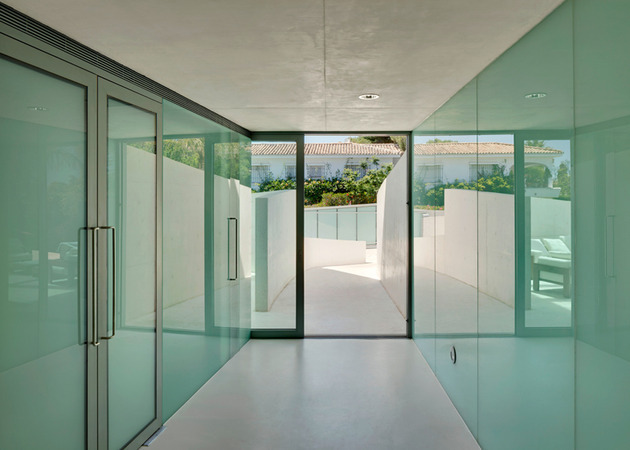 All the bedrooms feature closets with translucent glazing to further enhance the sunlight effect that is a constant theme through the various volumes. The closets that run along the entry hall also are fitted with translucent glazings and the walls and ceiling are fitted with a recessed sound system to allow music to quietly entertain those that pass by. The recessing of the sound system is a feature repeated throughout the residence as is the recessing of TVs. From the street view it is hard to believe such a dynamic and expressive interior awaits. 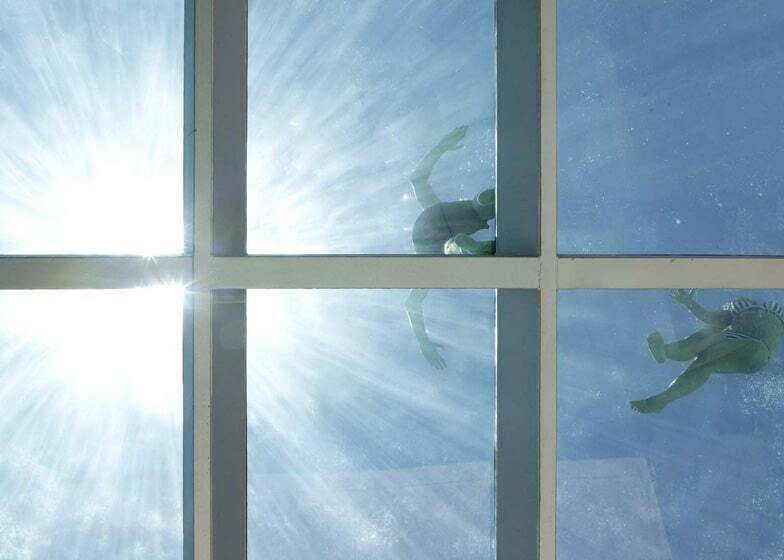 Even the glass-bottomed swimming pool is apparent but not obvious. 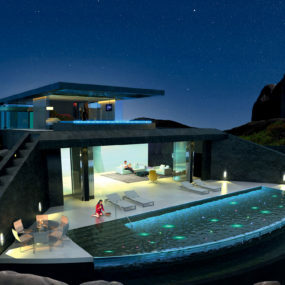 The pool is not the only water feature within the residence. A first floor sauna and a steam bath are also part of the interior zones, making the Jellyfish House a true expression of luxurious living.